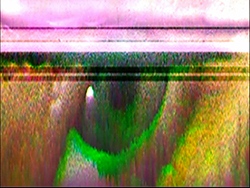 An audiovisual performance for an excised Fuji A600 compact camera, handheld lens, mirror, dremel, CRT monitor, audio feedback system, and my right eye. 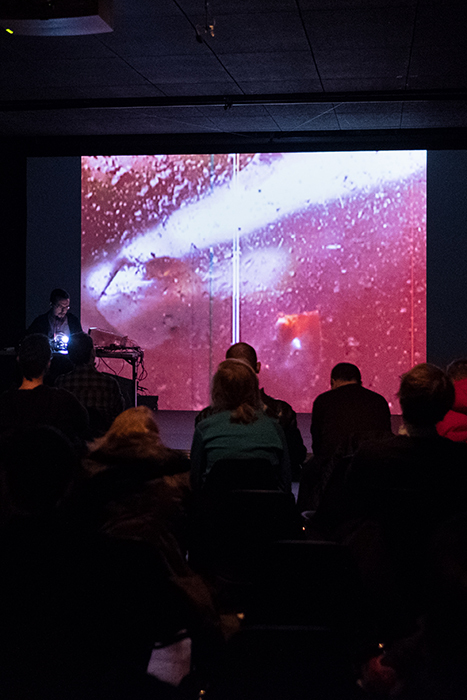 The performance reveals the layers of the in-camera digital image through a gradual destruction of the sensor. 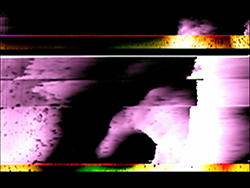 The sensor receives two layers of represntative imagery: optical imagery projected onto it and contact imagery of debris on its surface. These two layers are interuppted and corrputed by physical interventions in the readout layer where data is sent to the main circuit board. Once accessed the pixel layer of the sensor may be damaged to reveal its matrix structure and finally the graphical user interface of the camera is used to comment on the processes as they are performed. Haus der electronische Kunste, Basel.